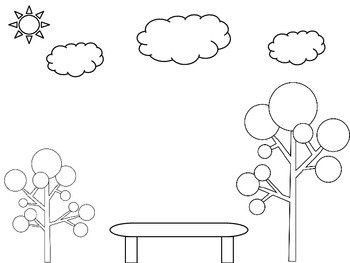 This following directions activity contains 10 prepositional directions. 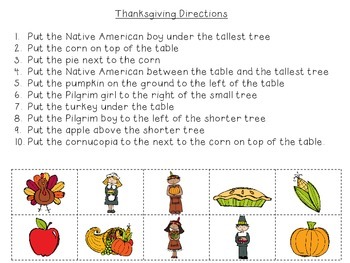 Thankful for Speech and Language Activity Packs! Or this great bundle pack, Thanksgiving Combo Pack! 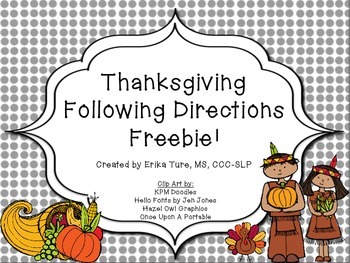 Follow me on TPT for more great speech and language activities! Please leave feedback if you download!